The Rolls-Royce Cullinan SUV Will Not Be Called "Cullinan"
Because there must be a better name for RR's first-ever SUV. 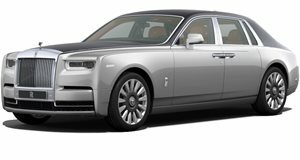 We’ve known for some time that , the Cullinan. 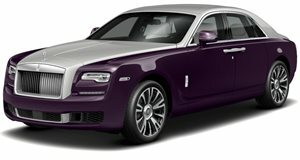 Due to be unveiled next March at Geneva, a new report coming from and claims Cullinan is “just a working project title.” These words come from Rolls-Royce Asia Pacific corporate communications manager Hal Serudin, and this is the first time we’ve heard an official confirmation the Cullinan name won’t stick. “We hope to be able to give you a little more news on this in the coming year,” Serudin added. We expect for the official name to be announced sometime in the first quarter of 2018. Honestly, we’re happy Cullinan won’t be the official name. It just doesn’t have a nice flow despite the fact ‘Cullinan’ is the name of the world’s biggest diamond. What isn’t changing, however, is that the luxury brand’s first SUV will very much look like a Rolls-Royce. Expect for it to be a “High-Side Vehicle” with tall doors and a prominent front grille. What hasn’t been confirmed is whether the rear doors will be “suicide doors,” meaning their hinges will be located beneath the C-pillars, as opposed to the B-pillars on conventional vehicles. and you’ll notice there are door handles both on the front and the rear. This was done deliberately by testing engineers to keep us guessing. The RR SUV will ride on a modified version of the same platform that underpins the new Phantom sedan. It’ll also likely receive the Phantom’s engine as well, the 6.75-liter turbo V12. Another engine possibility is the Ghost’s 6.6-liter twin-turbo V12. Like its main rival, the Bentley Bentayga, the RR SUV will have off-roading capabilities, but we doubt a majority of owners will take advantage of this. Expect to learn more updates and, hopefully, a name, early next year.